There are days when a girl can't be bothered by a lipstick [especially a lipliner]. However, we still need a wash of color every now and then and as for me? I have no love for generic tinted lipbalms sold at drugstores, so shoot me. For someone whose lips have a lifeless color and an ashen/yellow skintone every now and then, a blatant cherry red tint just won't cut it for me. I need a tinted lipbalm where I actually have options. 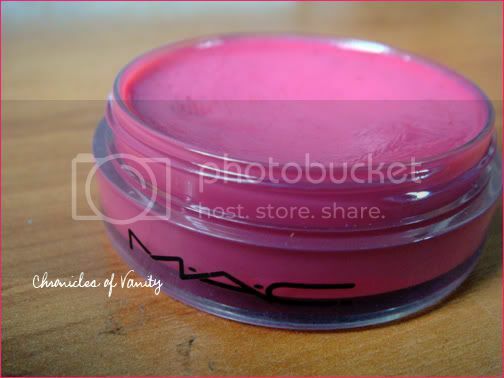 I first purchased my first MAC Tinted Lip Conditioner last 2007. I am on my second pot now and I can safely say that it is my HG lipbalm, alongside Sally Hansen's Moisturizing Lip Balm. Non-sticky! Lipgloss and lipbalms are notoriously known to be sticky but this one isn't. The perfect tint. 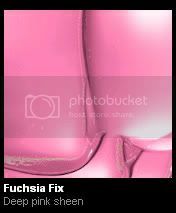 Fuschia Fix aka #FF0066 in RGB code will forever be my perfect signature color. Notice how I apply stroke to most of my photos? This is the color of that and this is the perfect color on my lips. Moisturizing. I can get away with this and only this, without another lipbalm or a lipstick. The cake-batter scent. Most of MAC's lip products have this scent. I hated it a lot before but I'm so accustomed to it now and I love it. Handy. Its size fits my makeup bag well and it ain't very bulky. I sometimes leave it beside my office computer and it looks nice in there. This is also perfect for night outs and you have only a small space for one lip product. Long-lasting. One pot of 15ml took me one and a half year to finish. Sunscreen. This little wonder has SPF 15. It's not much but hey, it's better than nothing! They have a wide range of tints: Fuschia Fix, Petting Pink [Pink Sheen], Close for Comfort [Pinkish Brown], Feelin' Good [Light neutral beige], Gentle Coral [Orange Pink Sheen, read Pammy's review here, too], Soothing Beige [Beige sheen], and Plum Perfect [Plum/wine sheen]. Really? Php 950? Too darn expensive for a lipbalm! I always need a lipbrush for this. Gah. The black cap can become grubby after a short while. Will I buy this again? I just did! 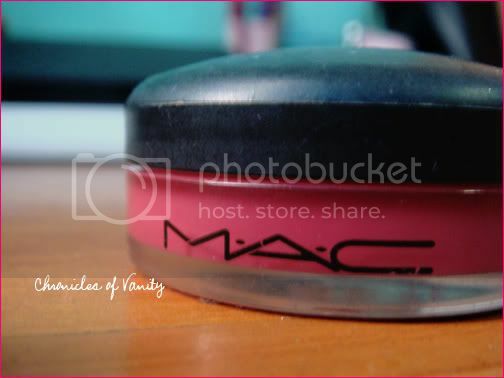 MAC TLC is available at MAC Counters at SM Mall of Asia, Shangri La Mall, and Glorietta, Makati [Rustan's].